A pioneer in the development of rigid- hulled inflatables, Achilles takes them to a new level in 2007. Achilles offers boaters six quality RIBs packed with an array of features that epitomize "attention to detail." From the strategically placed grab handles to the double heavy-duty rubbing strakes, no detail has been overlooked in producing fiberglass-hulled inflatables that look great and perform magnificently. With four popular tender sizes, you will find an Achilles HB that works – and plays – for you. Their handsome styling and distinctive Pearl Gray color belie the traditional reliability and rugged durability for which Achilles boats are famous. 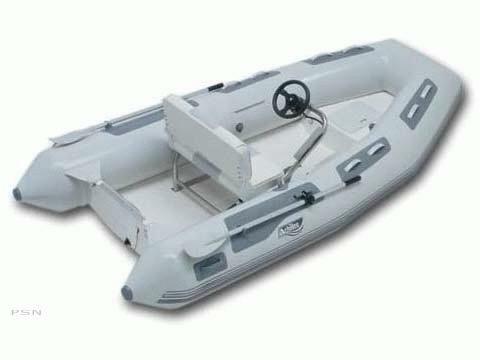 The large buoyancy tubes on all six models, in combination with the level non-skid floor made possible by the full deck liner, result in an extremely stable and exceptional looking tender.